We could hear music from the Hoh River long before we reached this rocky beach in the Olympic National Park. The water literally sang as it rushed over the flat stones and around large boulders and dead trees blocking it’s path. Up and down the river the sounds evolved in a natural progression leading from the mountains to the ocean. Posted as part of the Weekly Photo Challenge: Motion. What a lovely scene 🙂 Could be Scotland! Great photos and I love this place. We try to get there every summer. Thanks so much, Ruth. I hope we can make a return trip this summer. Love this tranquil scene, Lisa! “Water literally sang as it rushed over the flat stones”, the most beautiful song…! Hi, I’ve seen a lot of ‘waves’ and ‘ocean’ pictures for this week’s photo challenge, but yours really captures the motion in the water! 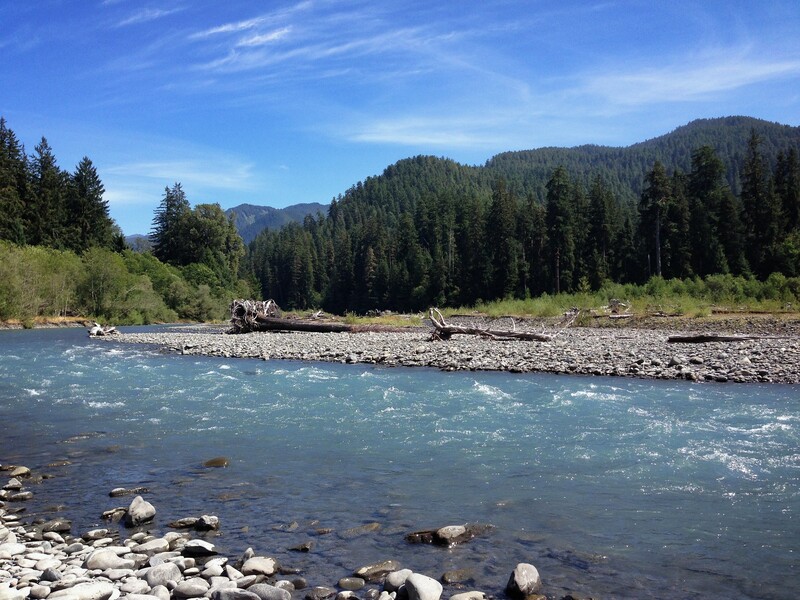 Looking at your picture I can really feel the waves moving and sensing the turbulence in the Hoh River! Thanks for your nice comments, Debbie it’s great to hear you like my take on the challenge and are feeling the movement of the river! Love that whole valley. Years ago, I walked up to the glacier that feeds that river. Magical. That must have been a wonderful trip, Jim. The little bit we saw was beautiful but seeing the glacier would top it all. I love that quote … it captures the essence of a river or stream so well. Whenever I’m hiking, encountering running water is always a favourite and I have to stop and admire the sound and motion. Nothing is more soothing than running water – excellent entry. I always like your choices. You live in a beautiful part of the world too. Thank you! Your description is pure poetry. Beautiful. Beautiful! I love the look of the water tumbling … great capture of motion! Lucky you to have visited though. I’d love to make the trip one day!